Have a special occasion coming up? Tired of your tress and don't know where to start? No matter what your needs are, we would love to take care of you! Just send us a message and let us know how we can help. Amazing service, take it from a regular. I have been going to see Stacy, the daughter of the owners for almost two years now for my cut and color. Stacy goes to conferences all the time to stay up-to-date on the newest trends and ways to cut and style, so your hair will be in great care! I have been going here for 2 years because of consistency, and all during my last two years of college. Sure it’s a little spendy, but it’s my hair! Probably one of the most important things to take care of and first things people notice. I am a natural blonde but get lighter highlights in my hair and have been told multiple times how natural it is… huge testament to the time Stacy puts in to her work! It’s great to see a family owned salon in the West Hills too! They are kind, and professional! Great Salon and Atmosphere. While some people say they don’t like the chatty atmosphere at Vitality i love it. People must think that a salon should be quiet and boring. Why is that? This place is very lively and homely with the fact that the owners are always there. You can actually have conversations with the people who work there instead of being in dead silence the entire time. I go to Stacy to have my hair done and i love the work that she does. I used to go to a Toni and Guy and i always felt like they were cutting my hair the way they wanted it to be cut, not what i was asking for. Stacy is always up to-date with the current styles and techniques and travels to great lengths to learn her skills. Trust is a big factor when it comes to finding someone to cut my hair and i have full trust in Stacy. Other salons i have been to have there own teachings which keeps them on a narrow path, the stylist and Vitality are not that way. 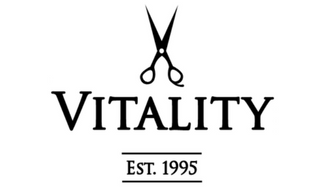 I would suggest Vitality to anyone who wants a stylist who is willing to have a great conversation with you and you can have a relationship with, not just someone who will stand there in an awkward silence cutting your hair.